Mike Carney, 31, of Olmsted Township and formerly of Lorain, died suddenly on Wednesday July 11, 2018. 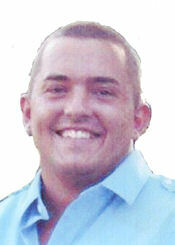 Mike was born June 28, 1987 in Lorain. He graduated from Lorain Southview High School in 2005 where he lettered in varsity baseball having started as a middle infielder since he was a Sophomore. He went on to play baseball collegiately at Cleveland State University, San Mateo College in California, Florida International University in Miami and Columbia Union University in Washington, DC. Mike worked as a private baseball scout, baseball trainer and baseball coach and had coached at Lorain High School. He was an avid baseball player throughout his life. He enjoyed reading about science and technology, exercising and walking. His loved his family above and beyond. He is survived by his parents Charles Gregg Carney and Karen Carney of Olmsted Township, brother John Carney of Avon and many aunts, uncles and cousins. He was preceded in death by his paternal grandparents Charles F. & Irene Carney and maternal grandparents George & Harriet Siss. The family will receive friends Tuesday July 17th from 4:00-7:00 pm at the Gluvna-Shimo-Hromada Funeral Chapel, 3224 Broadway Ave, Lorain. Funeral services follow on Tuesday July 17th at 7:00 pm in the funeral chapel. In lieu of flowers memorial donations can be made to the funeral chapel to assist the family with funeral expenses.